This extensive interview with California artist Doug Hall (b. 1944) provides unique insight into the culture and politics of experimental artistic production during the 1970s. Discussing the founding of the performance group TR Uthco, Hall offers context for his contribution to the field of video art, and shares stories of his collaborations with Ant Farm, Videofreex, and others. 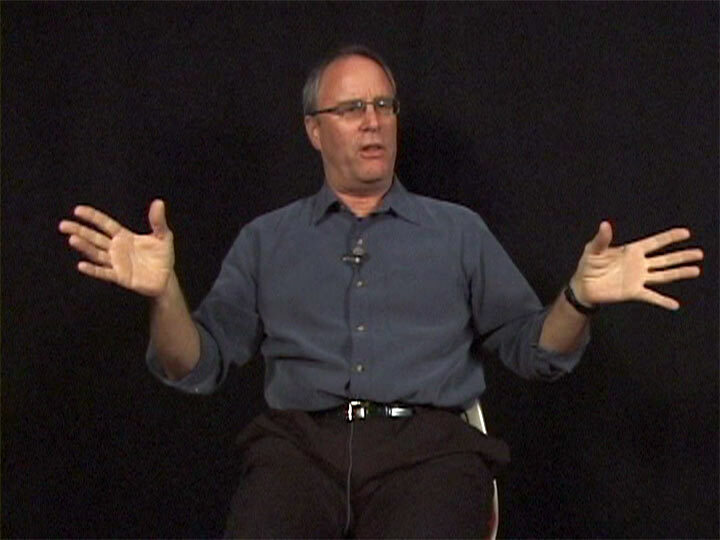 Ranging from his early years as an art student, to his romance with artist Diane Andrews Hall, to reflections on technology in art, this interview importantly extends the discourse surrounding topics of archive, performativity, and autobiography—subjects that have come to define the contours of video art today. Hall’s more recent art practice, discussed in the second half of this interview, investigates the politics of vision and our engagement with representation. In his work, Hall seeks ways to better understand the workings of images and archives which subtly condition our perception of visual reality. Doug Hall currently lives in San Francisco He is Professor Emeritus at the San Francisco Art Institute where he taught until his retirement in 2008. Interview conducted by Steve Seid and Pamela Jean Smith in 2005, edited in 2013.